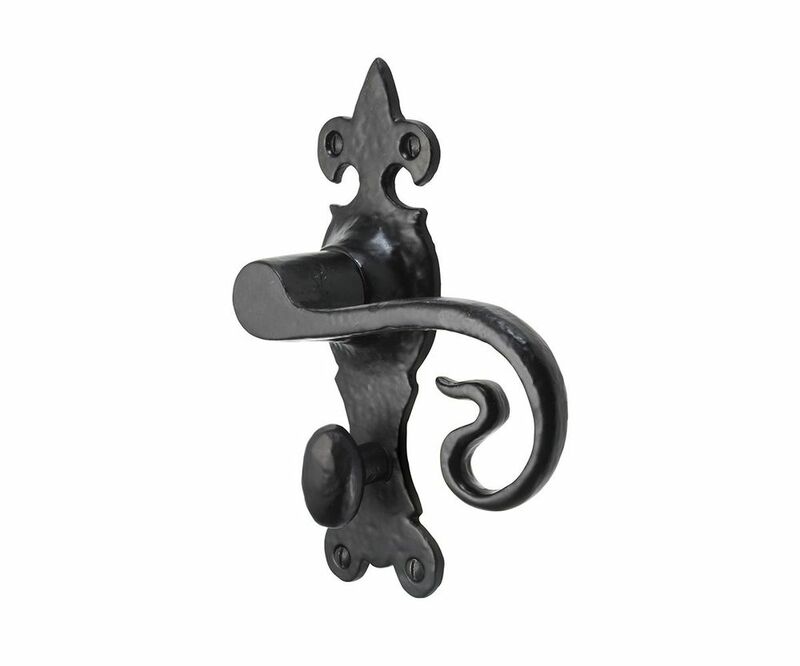 A highly decorative black, malleable iron door lever handle featuring a back plate topped with a fleur de lys and a curly, monkey tail shaped lever. The premium protective coating, quality materials and thorough testing processes produce long lasting results we beleive in and are backed up by a 12 Year mechanical guarantee. Available in 3 options: ~ Lever Latch: no lock, held shut via a latch ~ Standard Key Lock: keyhole located beneath the lever, use in conjunction with a sash lock to add security, the door can be locked with a key ~ Bathroom Lock: turn and release mechanism located beneath the lever, emergency override on the outside, used for privacy, not security Please note: Sold per set.